(CNN) - Even before the Parkland school shooting raised questions about warning signs exhibited by gunman Nikolas Cruz, at least 19 state legislatures were already considering "red flag" bills that would let a court temporarily prohibit someone from possessing or buying firearms if they're deemed to pose a threat to themselves or others. Now even more states are considering such laws after the February 14 massacre at Florida's Marjory Stoneman Douglas High School, which galvanized discussion about them even at a national level and prompted House Democrats propose grants for states that enact them. Supporters say such measures would fill a gap in current law. Critics say they infringe on due process by letting a judge make an initial decision -- even if temporary -- without hearing from the accused, and by allowing the judge to curtail someone's Second Amendment right to bear arms without the respondent ever having been convicted of a crime or been adjudged mentally ill.
Where are they allowed now, and what do they do? Such laws -- variously known as extreme risk protection orders (ERPOs), gun violence restraining orders and red-flag laws -- are in effect in Connecticut (enacted in 1999), Indiana (2005), California (2014), Washington (2016), and Oregon (2017). The laws differ state to state, but they generally allow specific people -- law enforcement officers and, in some states, relatives of the person in question -- to ask a judge to temporarily prohibit someone from having or buying firearms. This would be based not primarily on criminal history or mental health disqualifications already enshrined in law, but rather over allegations that the person is likely to harm themselves or others. 1) Make an initial ruling immediately preventing the person from purchasing guns and requiring them to surrender any they have. This initial order can take place without the respondent in the court. 2) Within a few days or weeks, hold a second hearing, which the respondent would attend. If the judge determines there's convincing evidence that the respondent poses a significant danger to himself or herself or others, the order would be extended, generally up to a year. The longer order would expire at the end of the specified term, unless someone petitions to renew it. Specific instructions on factors the judge is to weigh vary from law to law. But generally, the laws tell judges to look for a recent act of violence or threats of violence -- such as posts on social media -- against the person in question or others. Other factors are also weighed. Florida's proposed law, for instance, would instruct judges to consider evidence of mental health issues, stalking and alcohol or drug abuse. Where else are they proposed? Even before the Parkland shooting, bills establishing EPROs were in front of at least 19 state legislatures -- either under active consideration or at least introduced -- this year. Those states are: Alaska, Arizona, Delaware, Florida, Hawaii, Illinois, Iowa, Kansas, Maryland, Massachusetts, Michigan, Minnesota, Missouri, North Carolina, New Jersey, New York, Tennessee, Virginia and Vermont. Since Parkland, bills were introduced in at least five more states: Alabama, Kentucky, Pennsylvania, Rhode Island and Utah. At least 31 states either are considering bills or have lawmakers who have committed to introducing them, according to the American State Legislators for Gun Violence Prevention, which describes itself as a nonpartisan coalition of 200 lawmakers across the country who want to stop firearms crimes. How do these compare to other laws? Under federal law, gun possession is generally prohibited for convicted felons, or people who are convicted of domestic violence or are subject to certain restraining orders. Federal law also can prevent people from purchasing or possessing a firearm due to a mental illness under two conditions: if he or she is involuntarily committed to a mental hospital, or if a court or government body declares him or her mentally incompetent. Laws in some states mirror the federal prohibitions and in many cases expand them, including for those with drug and alcohol abuse histories and violent misdemeanor offenses. ERPOs, supporters say, are meant to fill what they see as a gap. 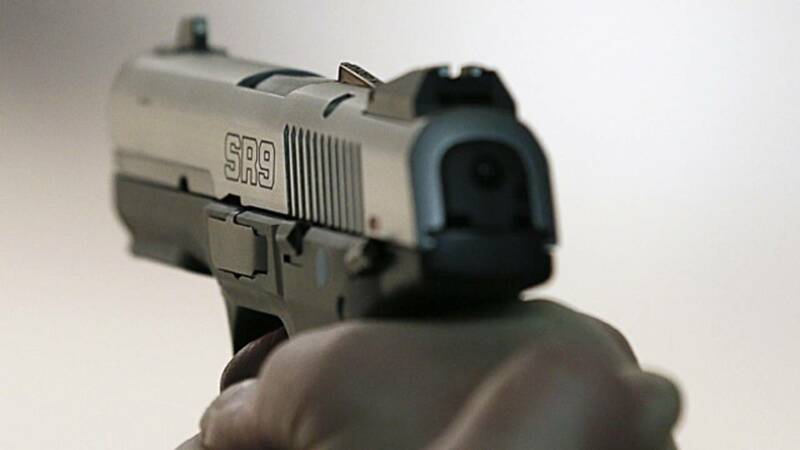 Other laws prohibit gun ownership for previously adjudicated crimes or mental health dispositions, but ERPOs, they say, are meant to allow action to be taken before a crime or suicide is attempted, when evidence shows danger is imminent. New York state Sen. Brian Kavanagh, chairman of the lawmakers' gun violence coalition, said people "don't have to wait for something terrible to happen" before addressing whether someone who's been shown to be a threat should have guns. "We're saying: There's many circumstances where crimes have not been committed, or a person not been brought (to authorities' attention, or no diagnosis has been made), but there's a lot of evidence that they may be a danger to themselves or others," Kavanagh said. "This fills what we think is the fundamental gap in gun violence prevention in America, which is there is no mechanism to address a situation where someone may be dangerous to themselves or others, but has not committed a crime or had experience with a mental health system which would cause them to be prohibited," the senator said. Another ERPO supporter is Nicole Hockley, a managing director of Sandy Hook Promise, a nonprofit that works to change public policy and prevent gun violence. Her 6-year-old son was among the 20 kindergartners and first-graders and six adults killed in the 2012 Sandy Hook elementary school shooting in Connecticut. Hockley says ERPOs are just one move among many that can help combat gun violence. But this, she said, is something that works and "should be embraced." Background checks, she says, generally take a historical perspective. "This (ERPO) is saying, forget about history. What's going on right now?" she said. Studies on the effectiveness of current extreme risk protection order laws are few. But supporters point to a Duke University study of 762 gun removals under Connecticut's ERPO law from 1999 to 2013. The study estimated that one suicide may have been prevented for every 10 to 20 gun seizures. Who is against them, and why? The laws have drawn criticism from a range of observers, including gun-rights proponents and a state chapter of the American Civil Liberties Union. The Gun Owners of America firearms lobbying group points especially to the initial petition hearing, for which the respondent isn't present. The group warns of false accusations. "No one should lose any of their rights without due process. Otherwise, people can make a false claim to get revenge or to disarm the person they're stalking," the group said in an emailed statement. "States that have enacted gun confiscation orders are disarming people without a jury trial or without their attorneys present. In fact, the first time the person finds out about the gun confiscation order is typically when police are knocking on the door to take their firearms. "This is very dangerous for all our rights, as it moves us to a 'Minority Report' type of society, where one can lose their rights for what they 'might do' in the future." Dudley Brown, president of the National Association for Gun Rights, also was concerned about due process. "It's essentially (just) saying, 'I don't think somebody should have a gun.'" He also said he believes ERPOs would be ineffective, because a prohibited respondent can still obtain guns by stealing them. The ACLU of Rhode Island said that Rhode Island's proposed law, which is similar to the others, is well-intentioned but overly broad. "While the ACLU of Rhode Island recognizes the bill's laudable goal, we are deeply concerned about its breadth, its impact on civil liberties, and the precedent it sets for the use of coercive measures against individuals not because they are alleged to have committed any crime, but because somebody believes they might, someday, commit one," the group said. CNN legal analyst Page Pate says the judge's initial, ex parte order indeed infringes on due process, but the question is whether it's reasonable, given the circumstances and the promise of a full hearing. Temporary, ex parte orders already are issued for domestic violence cases, for instance. "Ultimately I think courts will decide, yes, it is an infringement (of due process), but a reasonable one," the Atlanta-based criminal defense and constitutional lawyer said. A trickier question, he said, is whether ERPOs -- because they deprive someone of every type of firearm in every circumstance without a conviction or determination of mental illness -- can survive Second Amendment challenges. "It's a thorny issue" that may be challenged in court as more states enact these laws, Pate said.